Some time ago, Professor Qiang Lu acquired a large and unique traffic camera data set. He and his Chinese collaborators believed that this data set contains very valuable information, including information about the practice of using fake license plates for the purpose of avoiding ticketing. Having received the data, he then needed to find out how to analyze the data. To achieve that, he convinced a Chinese funding source to fund a 1-year stay abroad with the purpose of making serious progress on the analysis of the data. He chose to visit Center for Data-Intensive Systems (Daisy) because of Daisy’s recognized expertise in the area of spatio-temporal data management and analysis. He and researchers at Daisy are confident that the collaboration will enable the study of new kinds of analyses and will yield valuable results. The collaboration also contributes to the objective of the recently started DiCyPS project. 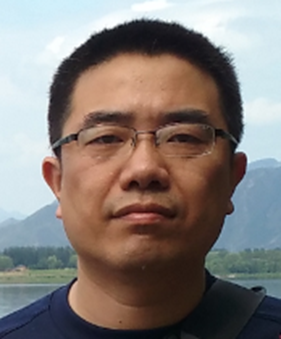 Qiang Lu is an associate professor in Department of Computer Science and Technology, China University of Petroleum-Beijing. His research includes data processing and analysis. His current interests focus on efficient algorithms for spatio-temporal data, including trajectory similarity retrieval and clustering in distributed settings and real-time vehicular traffic analysis based on incomplete information. Professor Lu will be visiting Daisy until July 2016. Funding from China enables his visit.